I owe you so much. Words cannot express the profound change your books have had on my perspectives on mental life. You have provided me with so many inspiring ideas over the years, I am a better psychologist thanks to you. You were a brave man and a great philosopher! Thank you Tom for turning on so many lights for me in what can be a very dark world. You will be missed by those who knew you and by millions who will never hear you name. I discovered the work of Dr. Szasz in 1967. I heard him speak in Syracuse, New York, in 1971, at the first meeting of the AAAIMH, and in St. Louis, Missouri, in 1974. I exchanged several letters with him, and he kindly sent me an inscribed copy of his 1971 book IDEOLOGY AND INSANITY. I look upon Dr. Szasz and Ayn Rand as the two greatest American moral philosophers of the twentieth century. I shall be eternally grateful to them for their books, essays, clarity of thought and writing, and moral courage. I am very sad about Thomas Szasz's passing, now feeling a little bit alone. In 2008, when I was a student of psychology in Regensburg, Germany, not satisfied with what I heard at university, I began trying out "Schizophrenie." At once I was enthralled by Szasz's language, acumen and sophistication, by his intellect. Since then nearly every single day until now I have been reading his writings. 17 books until now (I am a very slow reader, I want to understand him properly), currently I am enjoying "Ideology and Insanity." When I am reading something of him, I feel understood, as I would really talk with him. So gradually he became something like a friend to me, although I never had real contact with him. I always wanted to write him, just saying "thank you!" and how much I admire his work, but I did not. Now I regret this. So I wanted to write something here at least. His ideas will live on through me. 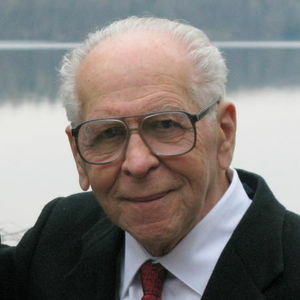 Thank you, Thomas Szasz, for helping me to become a clear, critical thinker and for inspiring me so greatly! Sincere condolences on the loss of such an esteemed gentleman who I met when I was a kindergarten teacher at Charles Andrews School in Syracuse (1960 -1961) and had the good fortune to have Suzy in my class. She was such a bright, inquisitive youngster and a pleasure to have as a student.The Myth of Mental Illness was given to me at the end of the yearas a gift by the family and personalized to me. Interestingly, my sister-in-law (Lynn Koss) and brother-in-law (Dr. Marvin Koss) and mother-in-law live in Fayetteville. My brother-in-law, Marvin Koss, is also a psychiatrist and works at Upstate Medical School. It is he who now has ownership of the book. I remember Suzy fondly from class, and when I saw the obituary, I had to respond as I knew the family.Please accept my condolences upon your loss. My name, at that time, was Gloria Goodman. It would be nice to hear from Suzy. Thoughts and prayers to the Szasz family at your time of loss. Occurring as it did with the holydays must have been difficult for the family. Your father must be as proud of you now as he was during his time with you. Ose shalom bimromav. Dr. Szasz was a scholar, a gentleman, and a good friend and colleague to my father, Robert Seidenberg, M.D. Dr. Szasz wrote to my father on a page of his book, The Myth of Mental Illness, "To Bob, a true friend, with deep affection and gratitude" and signed, "Tom, May 14, 1974." Dad died two years ago but I know if he were alive, he would want to say those words to "Tom" and his family. Dr. Szasz will be missed. I was shocked to learn of Dr. Szasz's death. It's still hard to believe he's gone this genius of a man. I owe him much. I was a psychiatric resident in the early 1960's at the Upstate Medical Center in Syracuse; Dr. Szasz was my mentor and my confidant. I remember well the battle we residents waged on his behalf to stand up for academic freedom and stop the State Bureaucracy from punishing him for his "inflamatory rhetoric." His passion for freedom and sutonomy was inspirational. No one could slice through hypocracy better. Yet I often felt he was misunderstood by his allegedly erudite profession who seemingly couldn't understand what a metaphor was. They couldn't seem to grasp the notion that much "mental Illness" was not leteral illness but a metaphor for despair, confusion, eccentricity and emotional intensity. They forgot that Tom also said that if objective evidence could demonstrate that some conditions designated "mental Illness" were in fact brain disease, those conditions would be neurological diseases. I truly believe I owe my professional and personal success to the confidence and sense of autonomy that I learned from Thomas Szasz.